According to information announced by the pharmacological company that produces and promotes a product such as "codomain", it is a medicine, not Bud. The tool is able to compensate for the lack of microelements, which is common among most of the population of Russia. Why people need iodine and why doctors do not recommends that "codomain"
Iodine is essential for the normal functioning of the human body such as the thyroid gland. Moreover, the body is unable to synthesize this element and can only get it from the environment. In case of lack of iodine, it can cause a huge number of diseases, the most common of which is the so-called endemic goiter. However, for the most part of territory of Russia people can't grow a certain vegetable products, which include iodine. So there are two choices – buy expensive seasonal food and provide your body with vitamin preformed complexes, one of which is the "codomain". 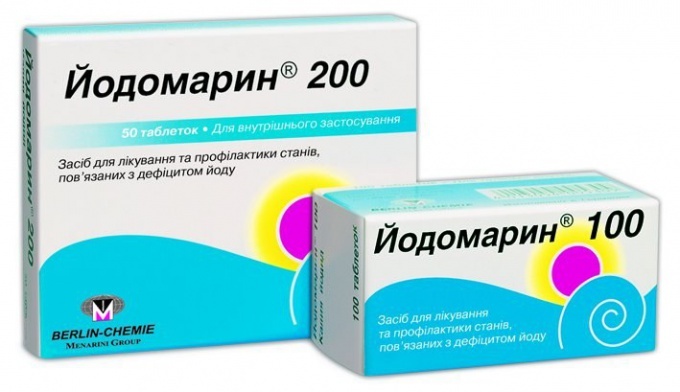 This drug is widely and long moved among the Russian population through mass media and advertising, so some people began to buy and consume "codomain", hoping that the drug will be able to fill the deficit of iodine in their body. However, currently, endocrinologists ceased to recommend to their patients this medication because it was discovered a side feature – the occurrence of diseases thyrotoxicosis and thyroid nodes. Thyrotoxicosis – a disease caused by excessive production of thyroid hormones. He is the opposite of hypothyroidism and is often caused by a high content of iodine in the human body. A product with a high degree of usefulness – cod liver oil, which is sold practically in every Russian grocery store. 100 grams of the fish liver, contains about 800 mcg of iodine. But this product has the important downside is its relatively high cost. The content of iodine in freshwater river shell and fish significantly less than in marine counterparts. some types of mushrooms. For example, mushrooms. Iodine deficiency may affect not only the mental abilities of a person, but also to provoke heart disease, respiratory and reproductive systems in women and men. For example, a very common problem in women suffering from miscarriage of the fetus, is precisely the deficiency of this element. Shown iodine-containing food products and humans in age, if you want to extend the quality of life for a longer period.